Affordable Handcrafted Italian Men's Dress Shoes by Ace Marks | Valet. Ace Marks holds the title of the most funded shoe campaign in Kickstarter history. And it looks like they're not going anywhere. They've just launched the campaign for their second collection and within the first five minutes, the campaign burst through its initial production goal. Why are guys so crazy about Ace Marks footwear? Handcrafted and hand-dyed in Italy by the same men and women who work for some of the world's most renowned luxury brands, the workmanship and materials are luxurious but the direct-to-consumer pricing is anything but. Plus, the shoes themselves are lightweight and flexible. What's not to like? Herewith, a closer look at five of our favorites from the new lineup. 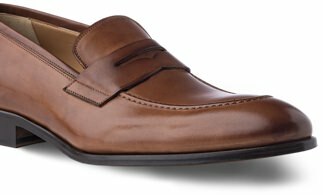 A classic dress shoe with traditional perforation and broguing details, and a more modern, streamlined silhouette. Crafted from smooth calf skin, these chukkas are finished with hand antiquing and burnishing for a luxe look. Leaner and meaner than the standard preppy penny loafer, these come in a range of cool color combinations to make them as bold as you want. Rendered in soft suedes and richly oiled leathers, these give the traditional tassel loafer a shot of 2017 style. Cut from contrasting materials and vibrant leather tones, these updated monk strap shoes have a cool, Continental swagger. Pledge $195 ($105 off the retail price) to score any single pair of shoes in your choice of colors, styles and sizes. 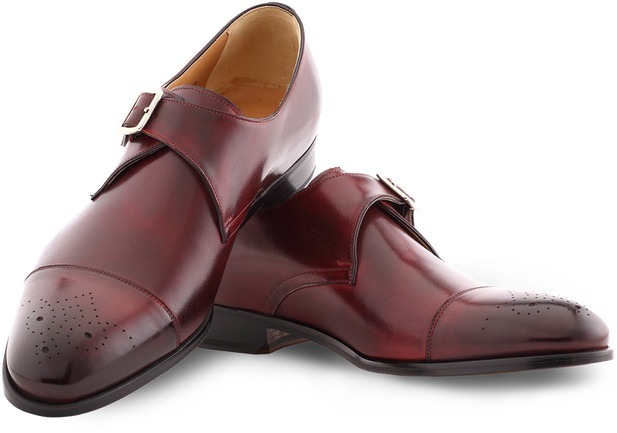 Get some top shelf Italian dress shoes for about half of what they're worth. 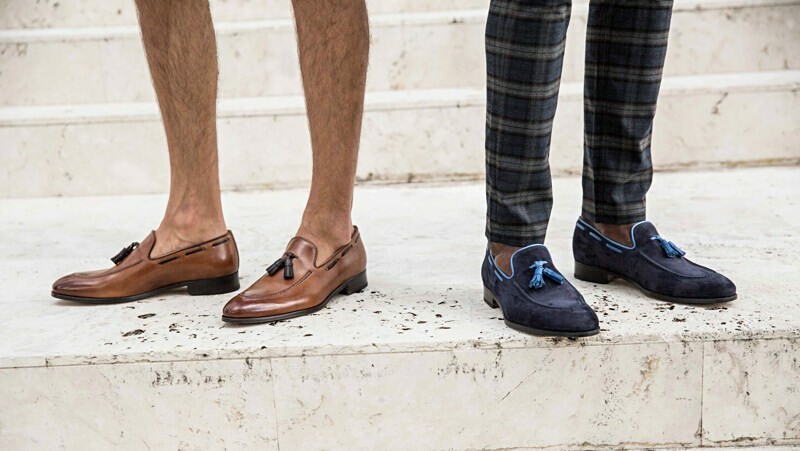 Derrick Miller, of Barker Black, on how to get the most out of shoes.